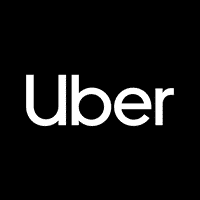 Here are a few Uber stats I was able to dig up so far. As with all of my stat posts, this one will be updated whenever I stumble on new and interesting stats. Be sure to subscribe to my site updates and/or check back regularly to see the latest Spotify facts. Quite possibly the most notable and newsworthy (for better or worse) digital company of recent years has been Uber. Over the years, the ride-sharing company experienced some pretty serious controversies, blunders and roadblocks, while continuing to grow and rack up funding. How many people use Uber? How many Uber trips have been taken? How many Uber users in India? According to their lost and found, the most common item to be forgotten in an Uber is a phone. Report 1: Ride-Sharing Companies Report (Uber, Lyft, Ola, Didi).